Paris may be known as the City of Light, but soon Prague will be trying to lay claim to that title, if just for a few days. A festival called Signal will let Czech and international artists bring special projects to more than 30 locations spread across the city from Oct. 17-20. The projects will be as varied as the locations, ranging from videomapping with soundscapes to light sculptures made from unusual materials. Videomappings in Prague aren’t new; ones have been done in Old Town Square, náměstí Republiky and náměstí Jiřího z Podebrad. 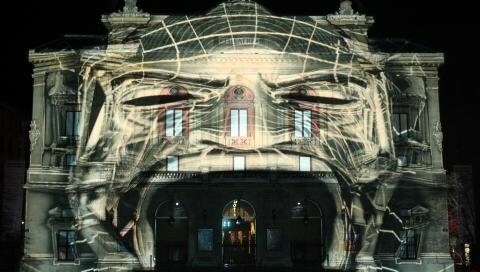 Lasers and other light sources project customized images tailored to fit the specific shape of the building and are synchronized to music and sound effects. The mapping can tell a story or just be a succession of designs. The people behind the previous ones in Prague, a group called the Macula, will bring the idea to the Church of St. Ludmila at náměstí Miru. Three other video mappings are in the festival, at Divadlo Hybernia, Arcibiskupský palác near Prague Castle, and Michnův palác.